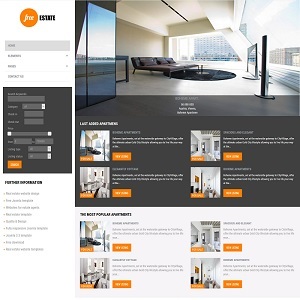 Free Estate - is clean free real estate template for Joomla 3.8.x In the base of free real estate website that you can view on the demo is OS Joomla Blank Template and Real Estate Manager (free version). Also in free Quickstart Package was included free Joomla image slider, search module, Joomla google maps module, dummy data and more. Everything you need to build a real estate website is already in package. 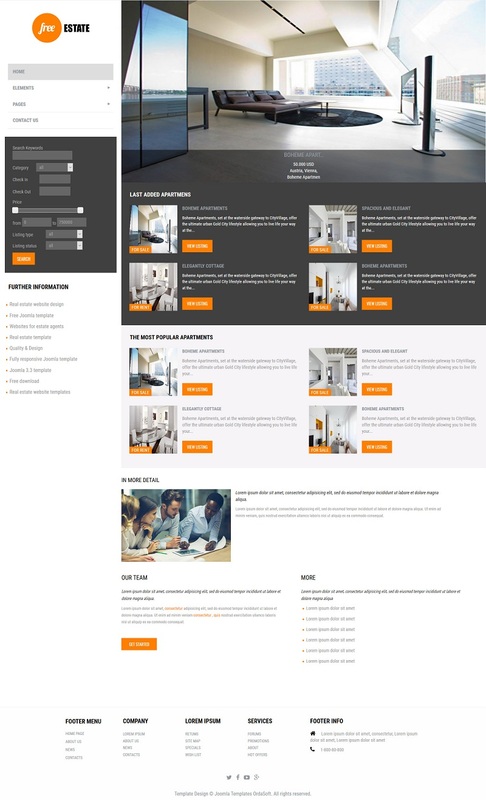 Template was specially created for real estate agents and dealers. Download it free right now! Besides, on website available PRO version of Free Estate Template with PRO Real Estate Manager - Joomla Real Estate Component for Joomla 3.8.x Pro version of Free Estate includes: pro extensions, awesome contact form, PayPal support, SEO features, Frontend Management System (possibility add and edit properties from frontend). Sh404sef component included also in QuickStart of PRO version of Free estate, and it helps you improve your search engine rankings and get more traffic to your website. You will be able create menu items for all categories, all houses (three layouts available: default, list and map), my houses, add house, owners list, search, single house in pro Free estate template. Everything you want to get from real estate website you can find in PRO Free Estate. Plenty of module positionsDue to Joomla Blank template, Free estate comes with a wealth of module positions to place your content exactly where you want it. Cross-Browser CompatibilityFree estate Joomla template fully compatible with all browsers: Chrome, Firefox, Safari, Opera and Internet Explorer 9+.